As winter comes to a slow close across the country, more than 150 million drivers have been impacted by conditions that take a physical toll on their cars. In February 2017 AAA released a new study showing drivers across the U.S. paid around $3 billion annually in repairs due to rust damage caused by road deicers. Of course, the use of road salt and its newly adopted liquid form are essential to keeping drivers safe during rough patches of weather. While a welcome addition to our roadways in terms of safety, these harsh chemicals can cause irreversible damage to your vehicle. To many drivers, rust is simply a cosmetic issue that they can afford to ignore. Sure, it’s unsightly, but what’s the big deal? 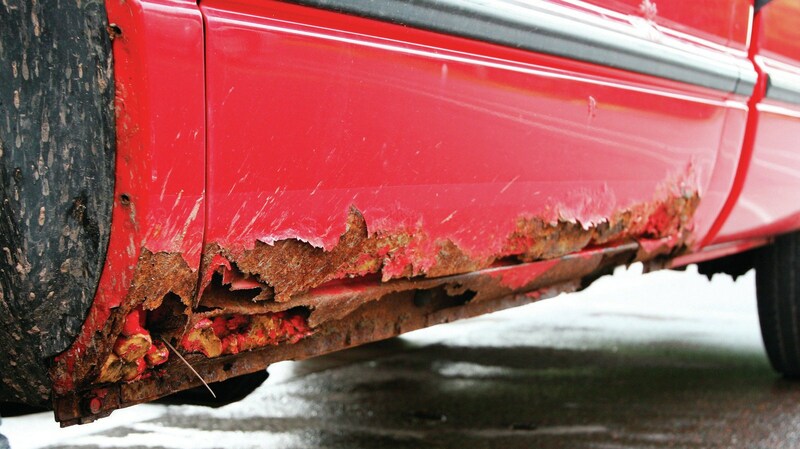 What many consumers do not know is that rust can have a potentially deadly impact to your car. This damage can cause brake lines to fail, and negatively affect fuel tanks, exhaust systems and other critical parts of your car. While some damage caused by rust is, unfortunately, unavoidable, there are ways to fight back and properly maintain your vehicle. Now that the ice has begun to thaw it is an optimal time for drivers to focus on spring cleaning and maintenance to drive safely into warmer weather. After a winter driving over ice, snow, and slush, the undercarriage of your car is especially vulnerable to the rust causing chemicals used to treat roadways called MAGNESIUM CHLORIDE. However, advising one to thoroughly clean the underside of your car, including wheel wells, is easier said than done. Here is where power comes into play – use the pressure from a hose to blast away the salt that has probably already settled in the complex weave of pipes and parts under your vehicle. Water only may remove the visible road debris but it’s not strong enough to attack the film left after exposure to magnesium chloride, traditional de-icing chemicals, and common dirt. We do recommend uniting specialized product to that your vehicle’s underbody. If you’re not as comfortable performing this cleanse you, it is worth the extra few dollars at a local carwash to them to perform a cleaning on the underside of your vehicle. Make sure they are using the proper product for their cleaning purposes. A Good Wash Goes a Long Way ! Maintain that paint. A vehicle’s paint also plays a crucial role in car corrosion prevention. Any chips or scratches should immediately be treated with the appropriate touch-up paint, available from your auto dealership. If professional bodywork becomes necessary, don’t delay. Likewise, be sure to replace anti-corrosion barrier coatings upon completion of any repairs. Wash your car! One very simple method of corrosion protection for cars is to wash the vehicle frequently. When performing a DIY cleaning as the weather begins to warm, always start from the top of the car and gradually move to the bottom using the two bucket method. Some drivers may only use one bucket, repeatedly putting a dirty wash cloth back in water they plan to use to clean their vehicle. Using this dirty water will not only spread contaminants but also increase the likelihood of paint damage. Instead, keep it simple and have one bucket for rinse only and another for your shampoo. Another essential part of your cleaning regiment is the tools that you use to wash away that tough winter residue. Soft, quality wash mitts or cloth are key to making sure you do not damage your car’s paint job. Take particular care to remove all chemicals from the bodywork and to thoroughly rinse the wheel wells and underbody. When it comes to the soap you use to clean your vehicle, never wash your vehicle with dishwasher or clothing detergent! Such products can dull or even scratch the paint. A pH neutral car wash solution is recommended. In a pinch, baby shampoo will do the job. Lastly, never skip drying off your vehicle after a DIY cleaning session – if you leave your car to air dry it may leave water marks. As mentioned above, focus on using a high-quality towel such as one made from a microfiber material that will effectively dry your ride without leaving any scratches. Dry from top to bottom and when finished, wipe down all door jambs and seals. Are you have a safe ride? 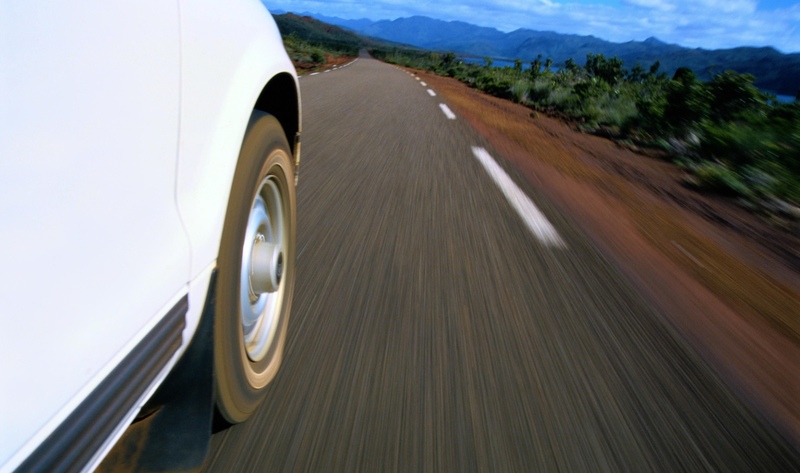 In addition to a thorough cleaning, tire pressure is especially important in the spring. As air temperatures get cooler during the winter, tire pressures decrease, which probably caused you to fill up your tires during the winter months. But as the air gets warmer again in the spring, tire pressures can increase. If the pressure increases past your manufacturer specification (because you added air during the winter), it can seriously affect your car’s drivability and fuel economy. Also, changing weather can affect the wear of your tires so it is important to ensure the condition of your wheels for traction before hitting the road. Can you see your way good? Another simple maintenance item that should be on every driver’s checklist is changing wiper blades. Your wiper blades are essential to safety, and as we transition from snow and slush to rain you’ll be needing them more often. The salt and road grime that come up onto your car in winter can damage your wiper blades and lead to a break. To be safe, change them out as spring begins. After researching all good known brands of wiper blades, scouring all user reviews, and testing top competitors on our vehicles over the course of a year, we came to the conclusion that the best wiper blade is the one that fits your vehicle and performs well throughout its service life. Windshield shapes vary a lot, however, especially with newer cars, and even the best quality blade may perform poorly if it doesn’t fit. Our findings show that the PIAA Aero Vogue is a good bet for most drivers. PIAA wiper blades are recommended by our shop, and the Aero Vogue is the best choice for most of the domestic and imported vehicles. All PIAA Blades are made from Premium Silicone, which produces nice and smooth movement over your windshield with Zero noise. 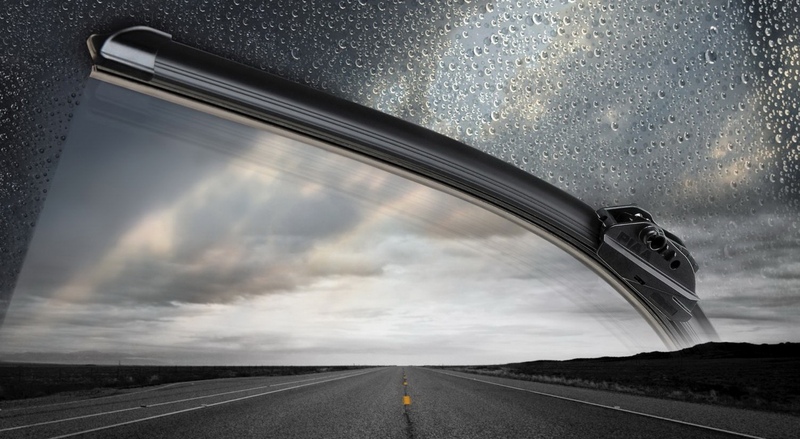 PIAA also supplies all their wipers with the windshield water repeller treatment, which can be applied to the windshield for the best performance. The main reason why we choose the Aero Vogue model is the fact that AeroVogue wipers accept Silicone refills, which simply makes them a one-time investment. Heading into warmer weather also means using your AC system after months of inactivity, and it is best to test your system early rather than waiting for when you need it most. If your system seems to be losing power or the air isn’t as cool as you’d like it to be, your vehicle might need more refrigerant. This is called a system recharge and while it can be done at home, the use of chemicals makes this a DIY project best saved for those with existing auto experience or a job to bring to your local mechanic. A restricted condenser might also be the culprit for reduced air flow, and this can be checked by looking at the front of the radiator for a build-up of debris. While both of the above are common issues with an AC system, there can be a more serious problem at hand. 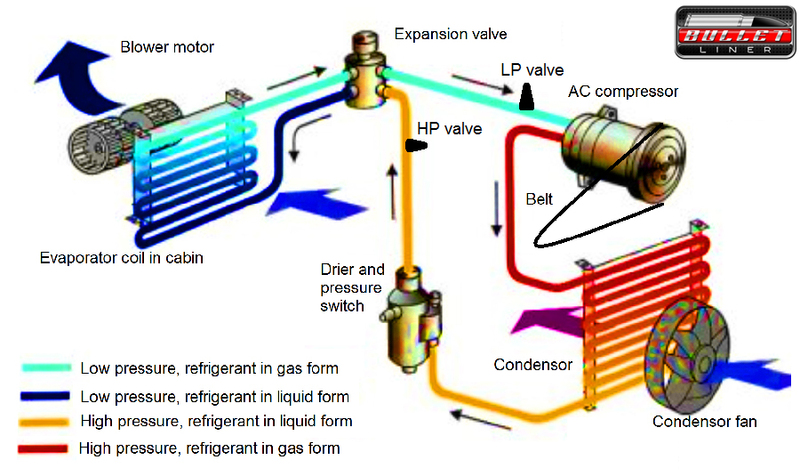 If your car is losing refrigerant it is important to determine the bigger cause, as a leak in a hose needs to be inspected and repaired by a professional. As millions of consumers look to hit the road with road trips and other activities as the weather clears, it is important to first prepare your prized possession for the big change with these preventative tips.